The cherry blossom season in Japan is over, and nature is in the midst of changing for summer. There are many plants and flowers that can only be seen during this season blooming now. Why not take a road trip and enjoy the picturesque summer landscapes in Japan? 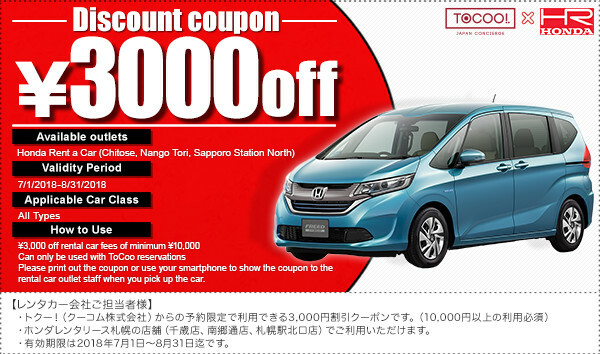 Nissan Rent a Car, Budget Rent a Car, Nippon Rent a Car , and Honda Rent a Car! 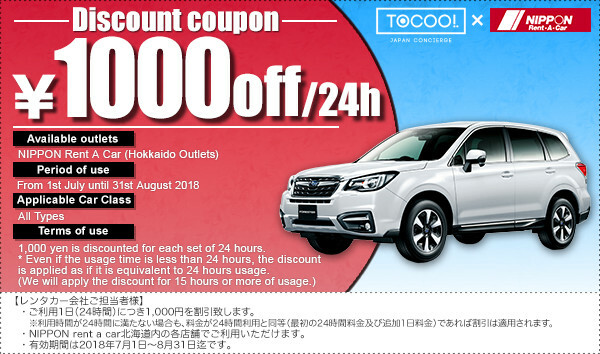 Please use this coupon to make your drive in Japan even better. 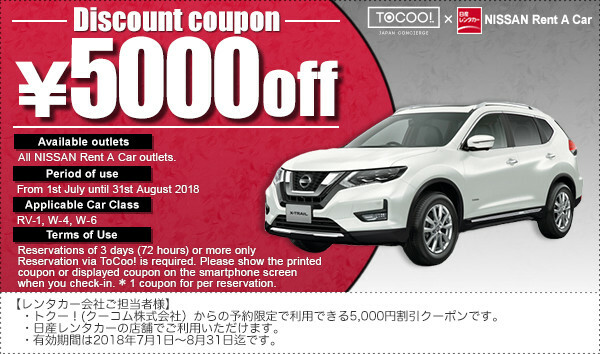 * This coupon can only be used from July 1, 2018 to August 31, 2018. 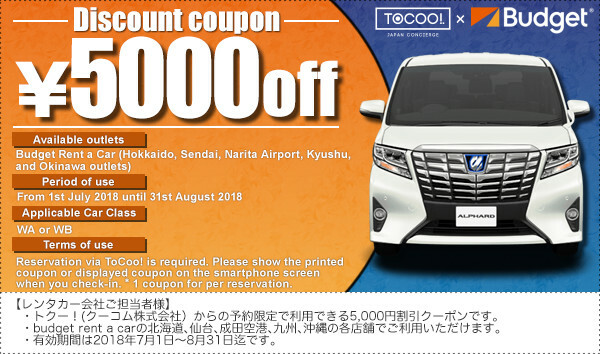 * For details, please check the terms of service listed on the coupon.